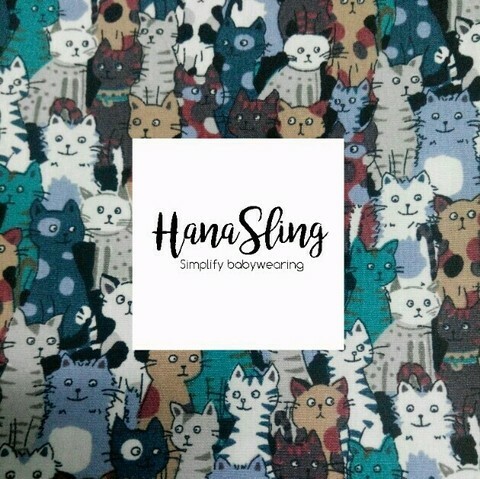 HanaSling is suitable from newborn baby till toddler-hood. Ring sling is very convenient and easy to use. Indulge in this beautiful cotton printed baby sling and make your babywearing experience memorable. 🔹All our slings have light padding with cross box at the end and pleated shoulder for both wearers&apos; and baby&apos;s comfort. 🔹Tail can be used as extra support for back/baby neck when rolled and tucked under the fabric behind baby&apos;s neck. 🔹Use the sling as sunshade, baby blanket, anything you can think of. 🔹Wash separately before use to soften and to remove excess wax (especially for linen). 🔹Preferably handwashed, but it is ok to wash by washing machine for cotton, denim and rayon mix sling. Just cover the rings with socks to prevent noise while being wash.